As the news of Prince’s death expands into an international purple-lit memorial marathon, music journalist Alan Light, author of Let’s Go Crazy, takes to the air to talk about Prince’s life, his artistic genius. and his passion for creative freedom. (Read about the shooting of Purple Rainhere.) Cultural critic Maggie Nelson, whose book The Argonauts won the National Book Critics Circle award for criticism in March, returns to a family tragedy that shaped her life. 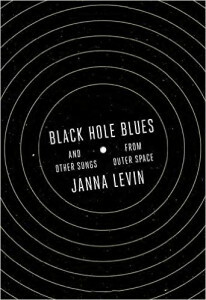 An astrophysicist and novelist documents cutting-wave work on black holes; a microbiologist writes about NASA’s team of women; Fake Steve Jobs takes a job at a Boston firm, leaves, and writes about it. 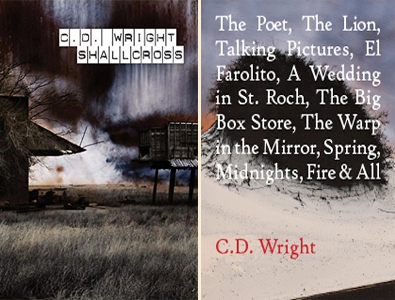 Two posthumous books by the late C.D. Wright are released. 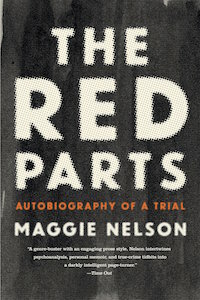 “Nelson’s resistance to the easy answer, her willingness to reach a kind of conclusion and then to break it, to probe further and further, to ask about her own complex and not entirely noble intentions instead of facilely condemning others, make The Red Parts an uneasy masterpiece,” concludesAnnalisa Quinn (NPR). “It is a sounding, a wondering, not an autopsy (It was murder, I say!) or a condemnation. Nelson allows space for the truth: Maybe grief is a repeating cycle, not a hurdle to be passed, maybe there is no immunization, maybe we’ll never feel entirely safe. Maybe women will always have to negotiate between freedom and safety, on and on in endless compromise. Maggie Nelson’s memoir of her aunt Jane’s killing, which was one in a series that was labeled “the Michigan Murders,” opens with a quotation from Nietzsche: “In all desire to know there is already a drop of cruelty.” These words take us directly into Nelson’s conflicted psyche. A 34-year-old poet, she never met Jane, yet became so obsessed with her death she fell prey to what she calls “murder mind.” By day she researches rhyming words for “skull” and “bullet.” By night she is assailed by sickening images with “the slapping, prehensile force of the return of the repressed.” But she is ripped from her grim reveries when an investigator announces that — thanks to a DNA match — Jane’s unsolved case has been reopened and that an arrest…is imminent. Levin, an astrophysicist and novelist, tracks the decades leading up to September 2015, when the measurement of gravitational waves created by black holes colliding at the Laser Interferometer Gravitational-Wave Observatory (LIGO) confirmed Einstein’s general theory of relativity. Her book ranks high with critics. “After half a millennium of exploring the cosmos through light, we have entered a new era of sonic exploration,” she concludes. “But as redemptive as the story of the countless trials and unlikely triumph may be, what makes the book most rewarding is Levin’s exquisite prose, which bears the mark of a first-rate writer: an acute critical mind haloed with a generosity of spirit. Microbiologist Holt tracks the teams of mathematically gifted women who worked at NASA from World War II to the launch of Sputnik and the decades after. Hers is a rare look at a little-known team. “Before PCs or smartphones or even clunky mainframe IBMs, a little-known group of women known as ‘computers’ were using paper and pencil to calculate thrust, velocity, and trajectories for the first American rockets,” writesJulia M. Klein (Boston Globe). 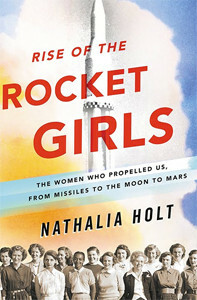 “While dreaming of space rather than war, they were indispensable to the construction of the first ballistic missiles in the 1940s and ultimately helped design spacecraft that would explore the moon and the rest of the cosmos.” She gives Holt credit for bringing their story—their “intimate accounts of their accomplishments, family lives, and the sometimes unsettling mix of opportunity and discrimination they encountered”—to light. You are not the kind of guy – not at your age, and not with your résumé — who should be working at a place like this. But here you are. It’s your first day at HubSpot, a Boston start-up company, plump with $100 million in venture capital. You’ve been hired as a marketing fellow, whatever that means. You’ve been granted a small tranche of stock options. 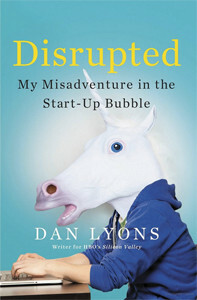 Led to your desk, you find that you are expected to sit on a big rubber ball on a rolling frame. (The ball is orange, of course.) You fear you will fall over and break your pelvis. You ask for an actual chair, with four legs. You begin to feel very, very old. C.D. Wright, winner of the National Book Critics Circle award for her 2011 collection One with Others, died in January only days after her collection of essays about poetry The Poet, the Lion, Talking Pictures, El Farlolito, A Wedding in St. Roch, The Big Box Store, The Warp in the Mirror, Spring, Midnights, Fire & All was published. Shallcross is her first (but not her last) posthumous work. Both are greeted with reverance. The 20-page poem is a relentless stack of fragmentary descriptions of murders lifted from “the NOLA.com Crime Blog … with contributions from an extended cast of reporters for the Times-Picayune.” The descriptions begin midway, bleed together, add up to a disturbingly incoherent yet somehow unified whole: New Year’s Day / in front of his grandmother’s house, 6th Ward / shot 14 times … / at a graduation party in the backyard / a girl totally in love with poetry/ mother of a 30-month-old … the father ambushed in his car/ a few days after she learned he was pregnant. Who are these people? Wright gives them their humanity without their names, as if to remind us that even statistics have mothers, lovers, children. She transforms journalism into poetry, leaving us with feelings rather than thoughts, with a sense of culpability and responsibility that, as observers of injustice, we share.